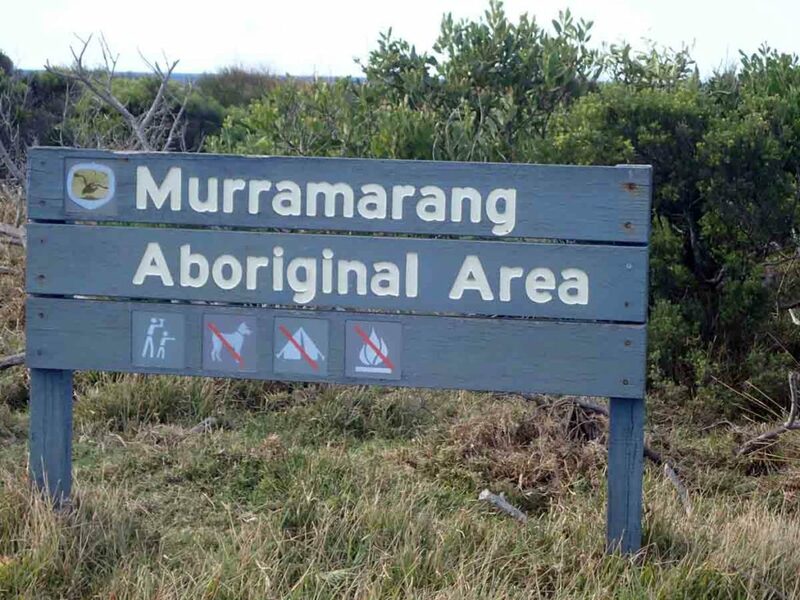 No bushwalking experience required. 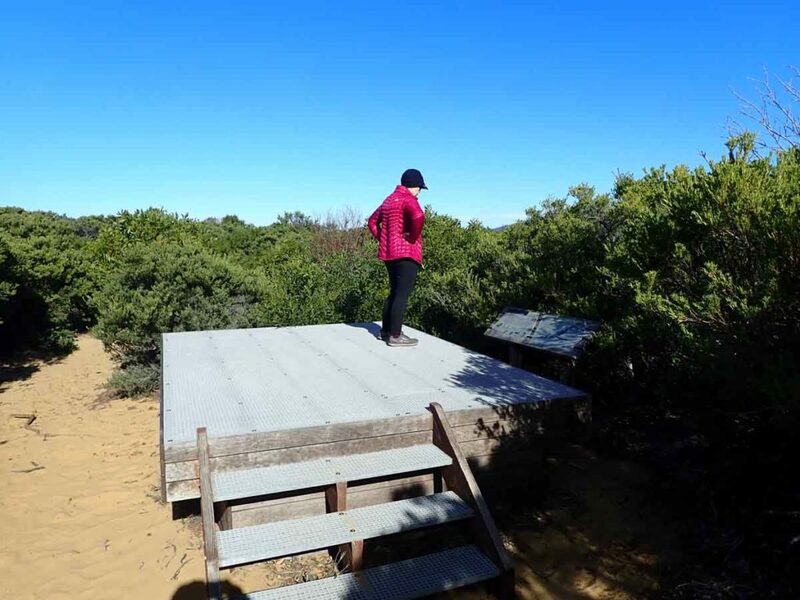 Flat even surface with no steps or steep sections. 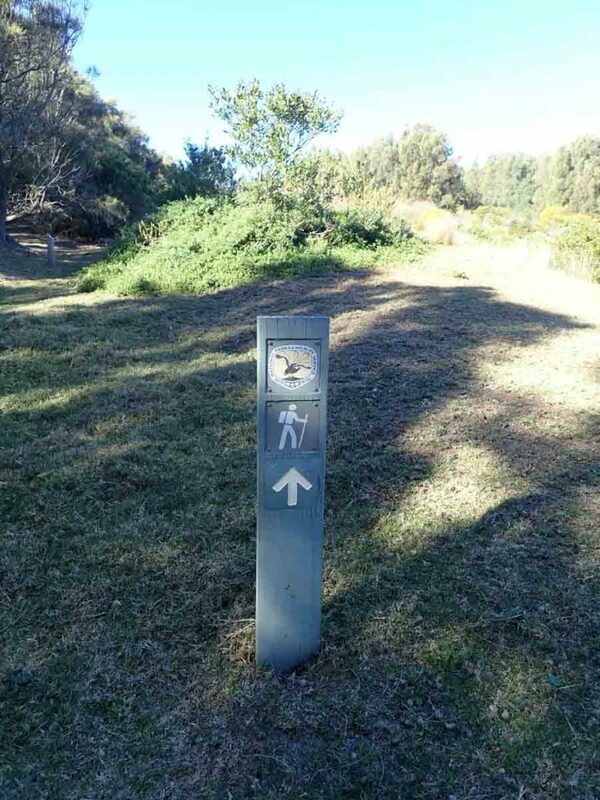 Suitable for wheelchair users who have someone to assist them. 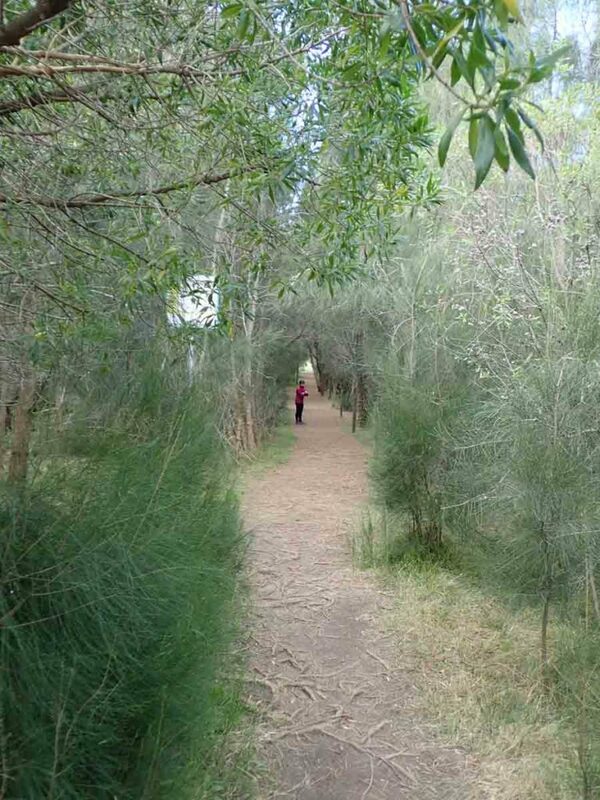 Walks no greater than 5km. 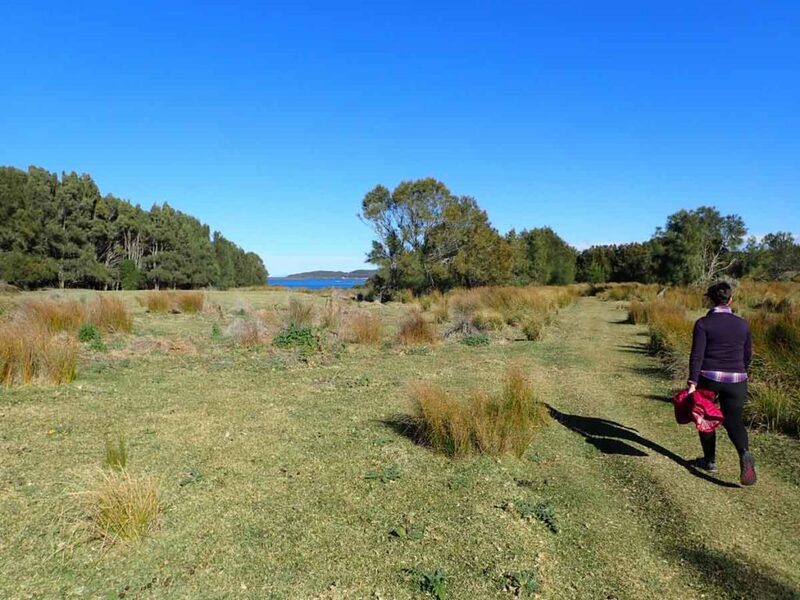 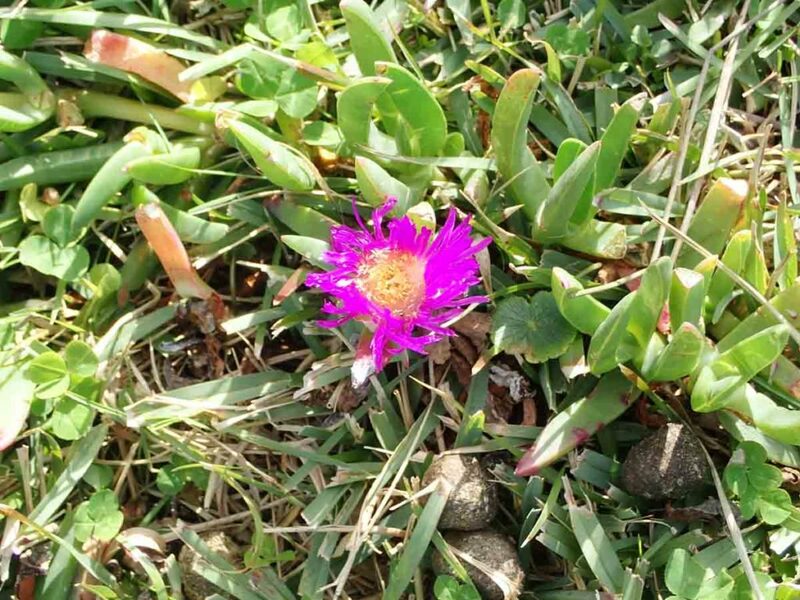 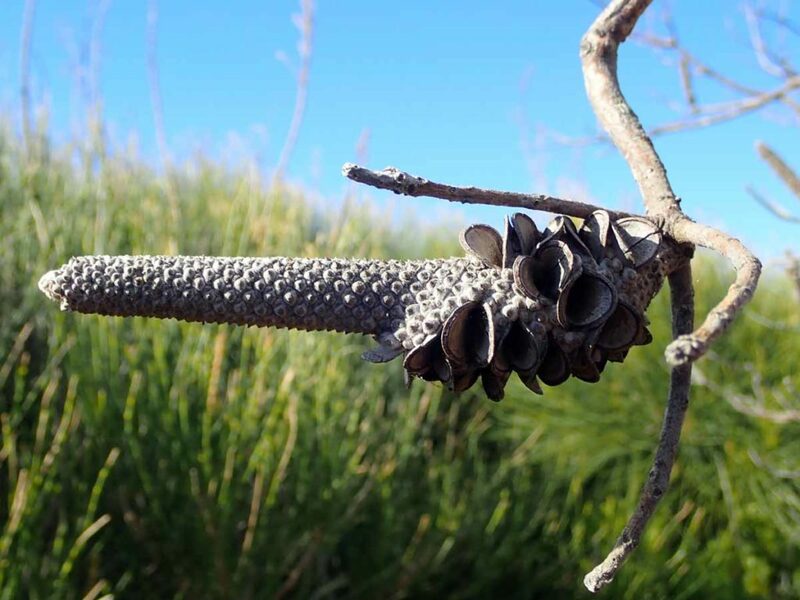 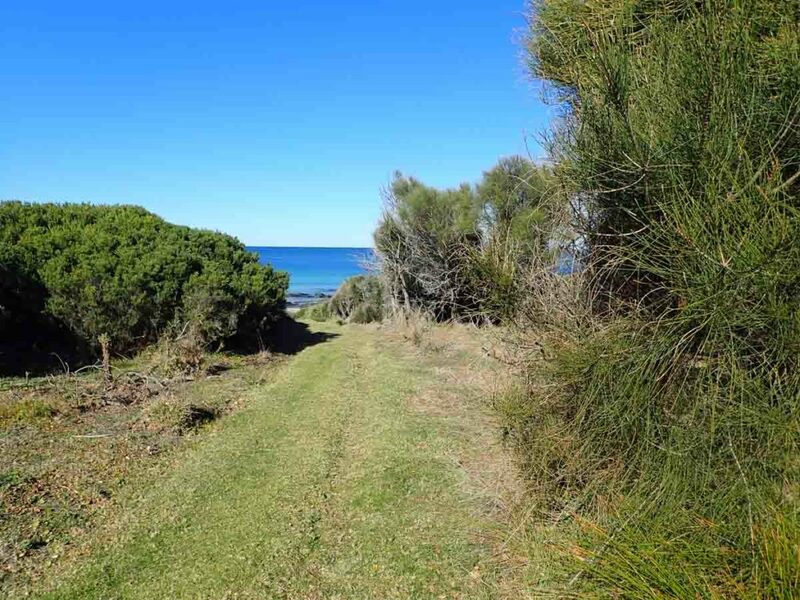 This walk is a relatively easy walk on the south coast of NSW on the Bawley Point Headland. 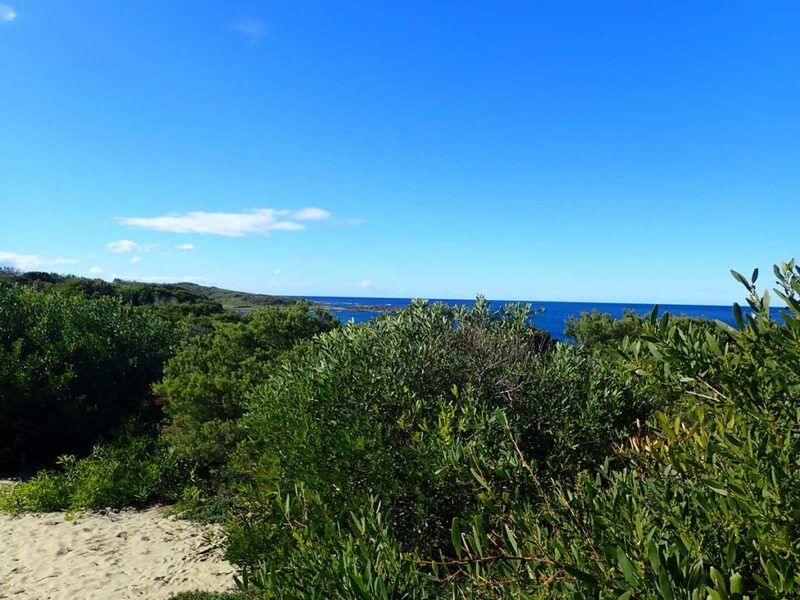 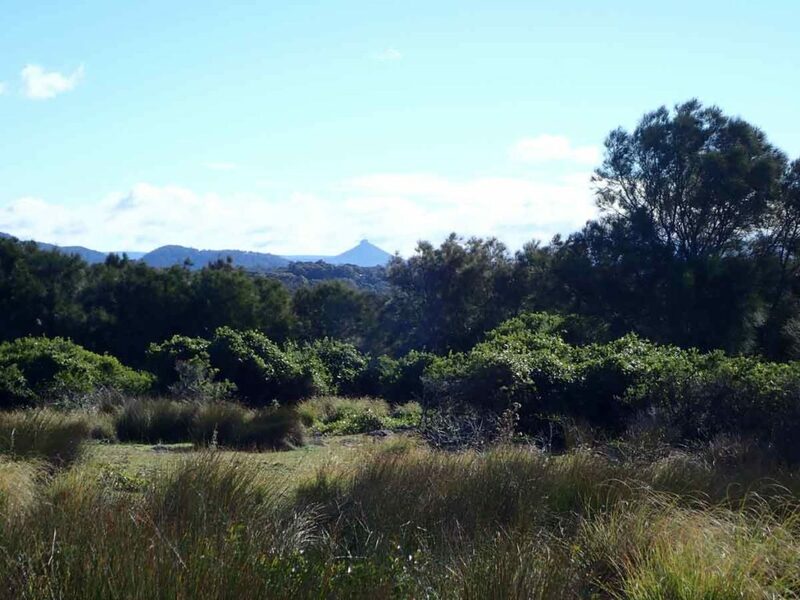 I love bush walks that are adjacent to the ocean as it provides the best of both worlds with ocean and bush views providing three opportunities to head down to the beach for a swim. 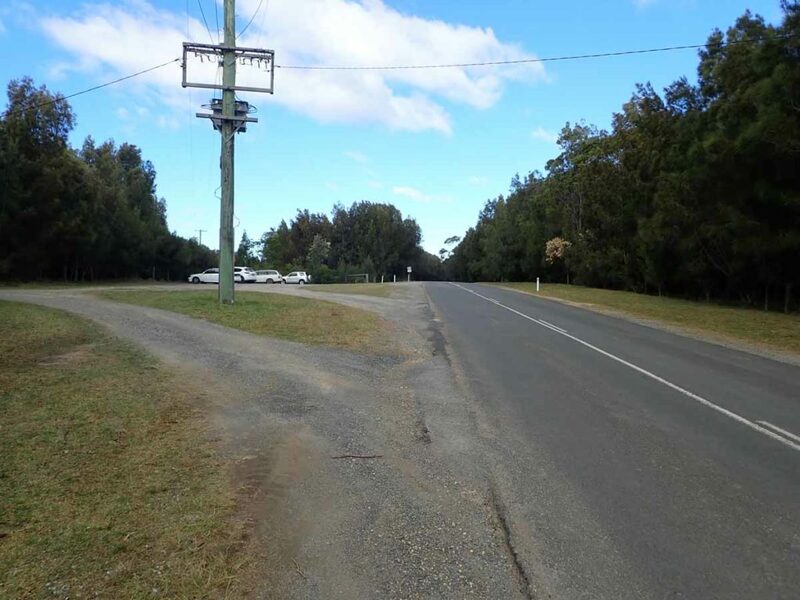 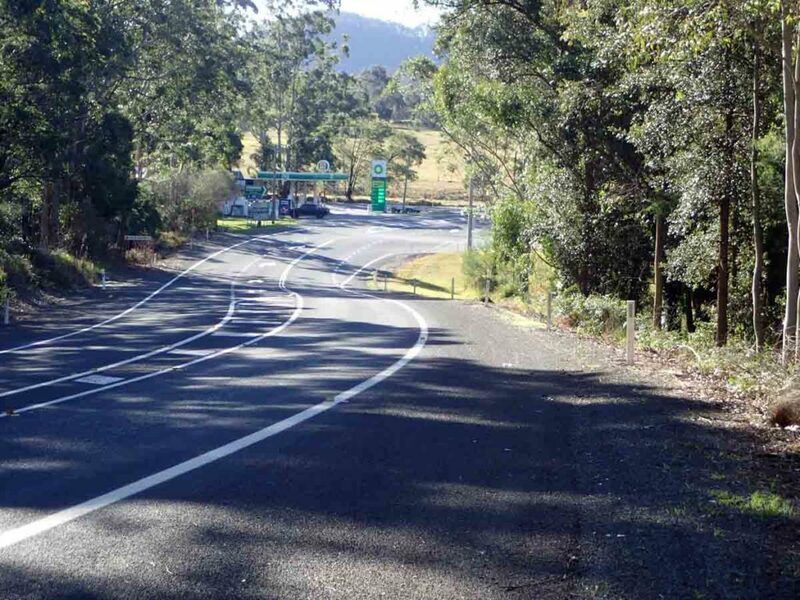 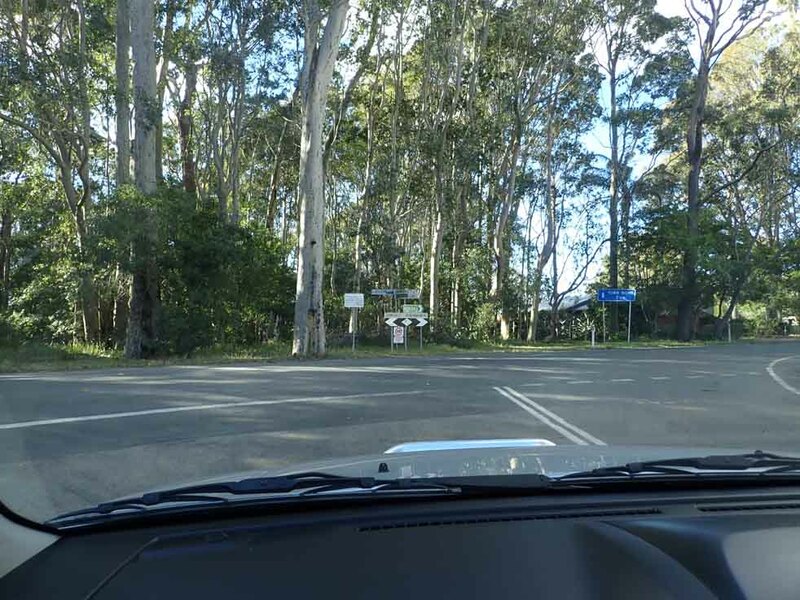 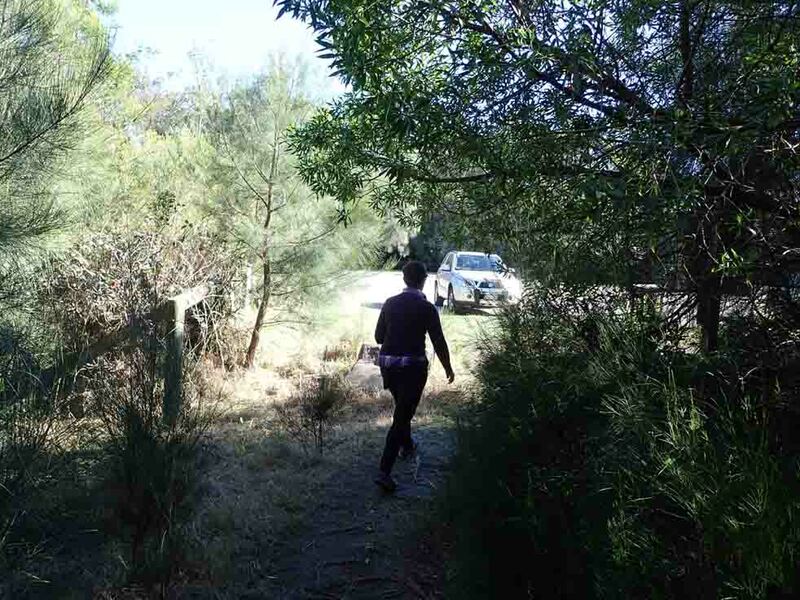 While this walk shows up in the NSW parks website as being around 2km this doesn’t factor in the walk to the actual trail head from the carpark. 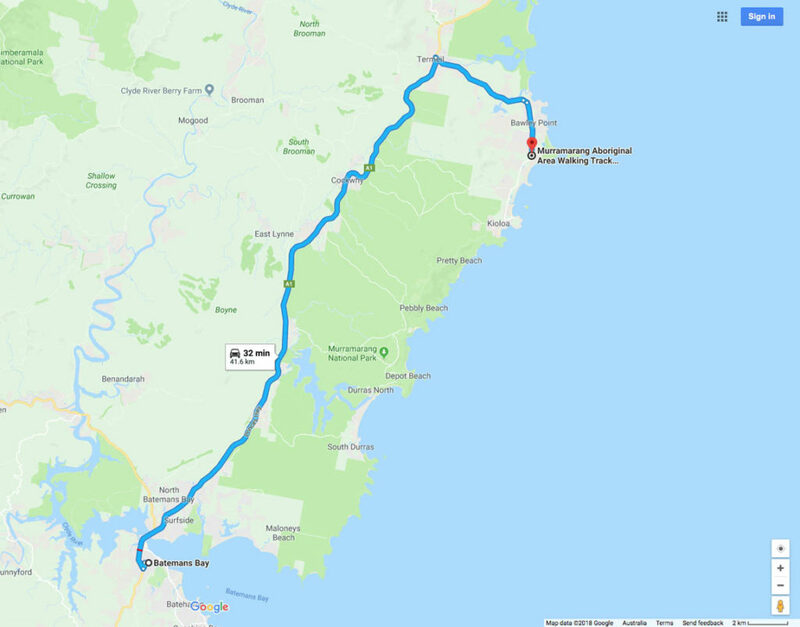 All up the distance is 3.7km which is still an easy walk. 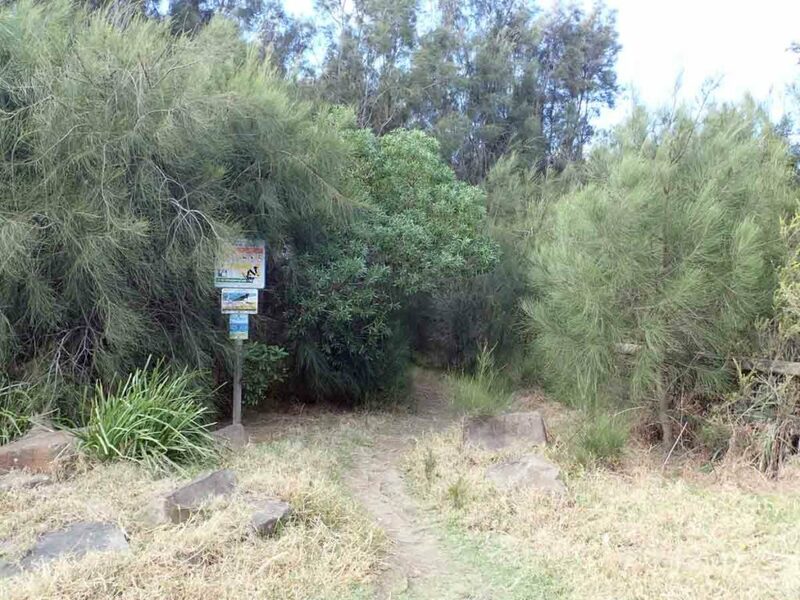 Park your car and head to the right hand corner of the car park along a poorly identified trail down the the beach. 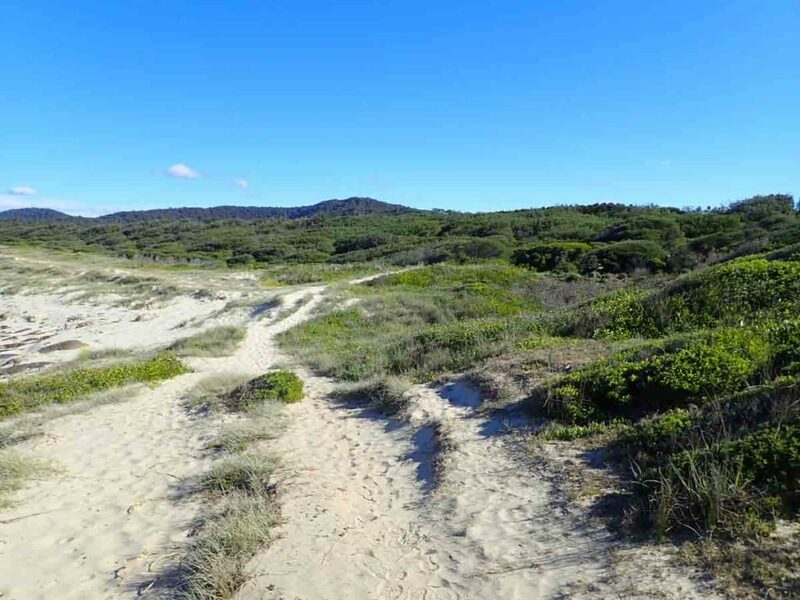 Once you get to the beach turn left before going onto the sand and you will come across some trail markers and signage that will will take you to the formal start of the walk. 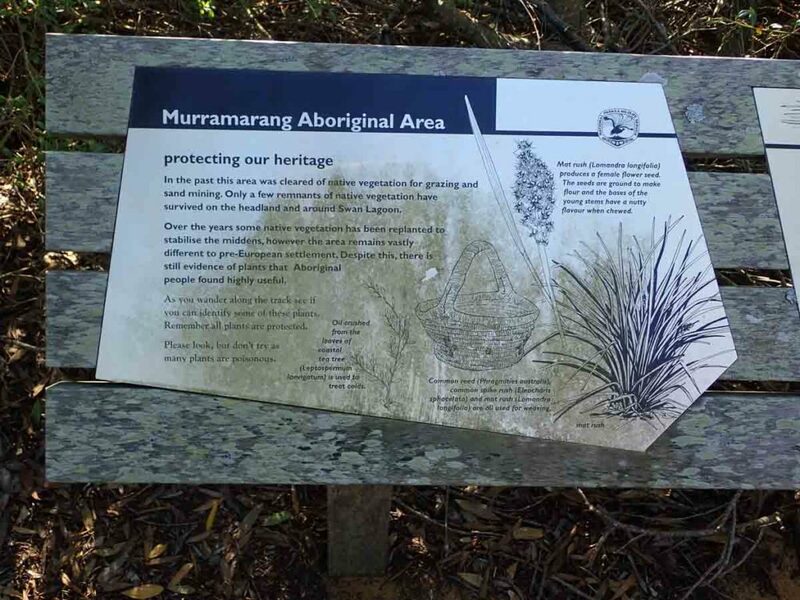 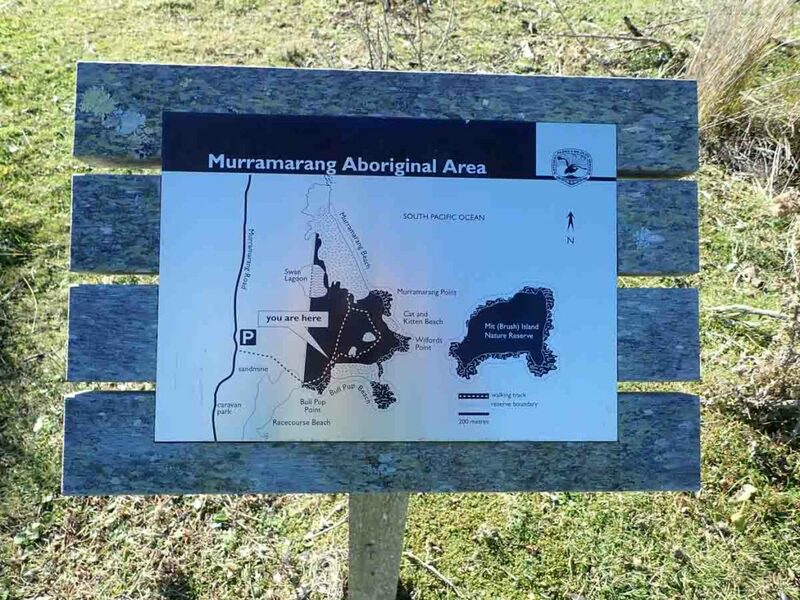 Head down a small metal mesh boardwalk to a largish interpretation centre that provides detailed information on when the local Indigenous population used to live in this area. 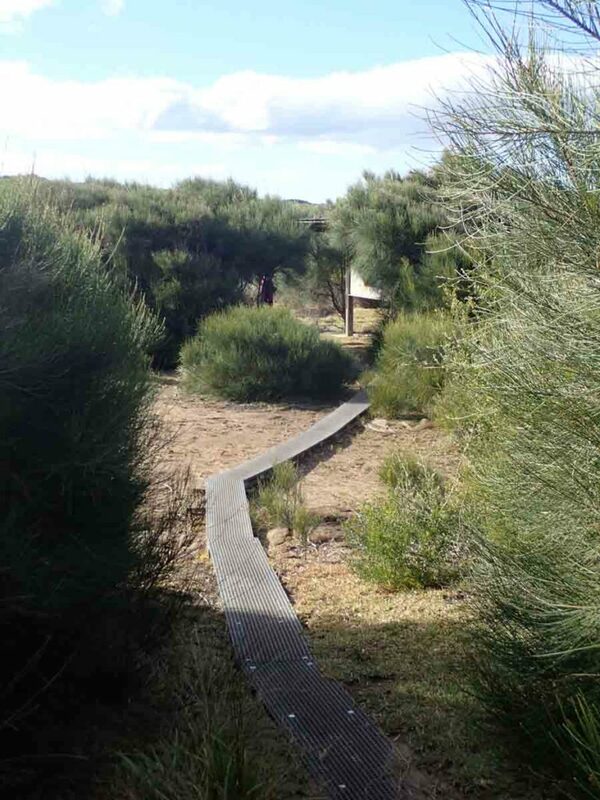 Head off on the well worn sandy trail and follow the marker arrows as you go. 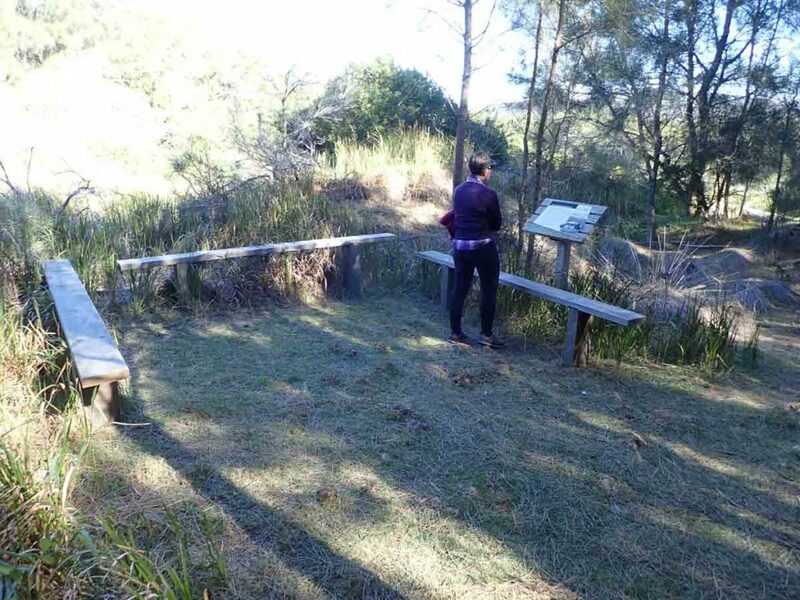 The default direction for this walk is anti clockwise and as you walk you will come across a number of small raised platforms or ‘U’ shaped seating areas that have additional interpretation signage. 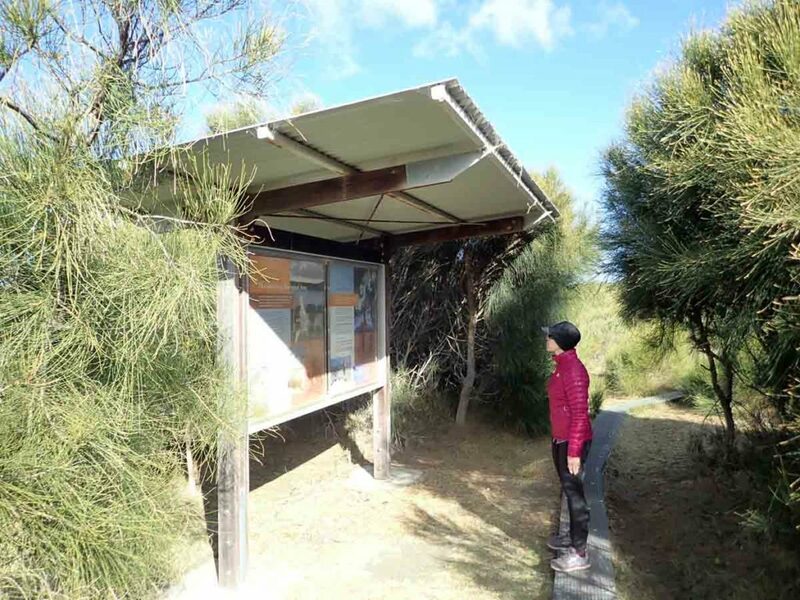 This trail has a slight slope to it but overall its a pretty easy walk though coastal scrubland that provides frequent views to the nearby ocean on the east and to the adjacent mountains to the west including one of the regions best known bush walks Pigeon House Mountain. 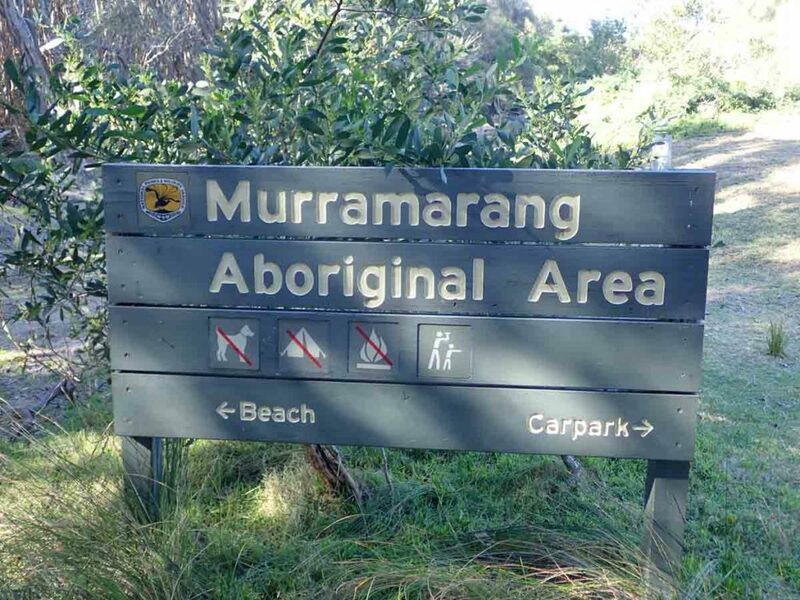 If you have a pair of swimmers with you you can access the beach just as you come down from the car park, shortly after the trail head signage, and just as you start heading back to the carpark on the return leg. 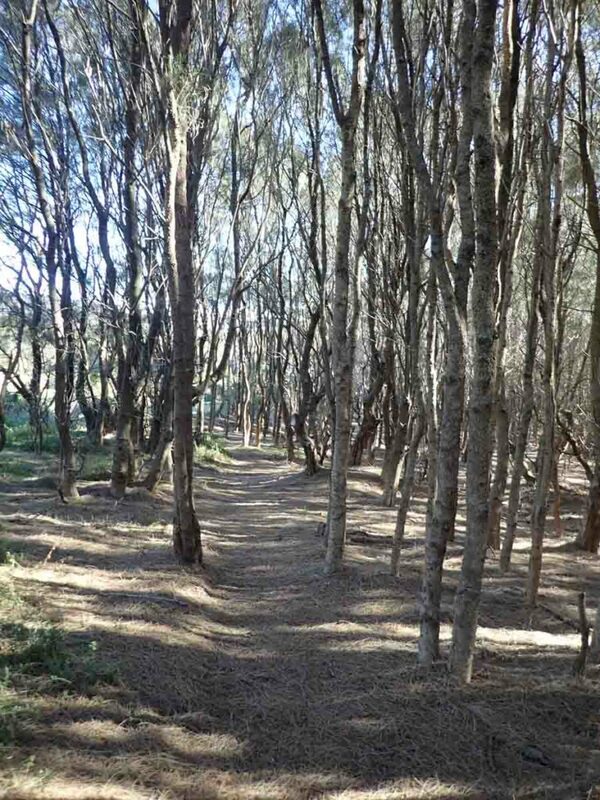 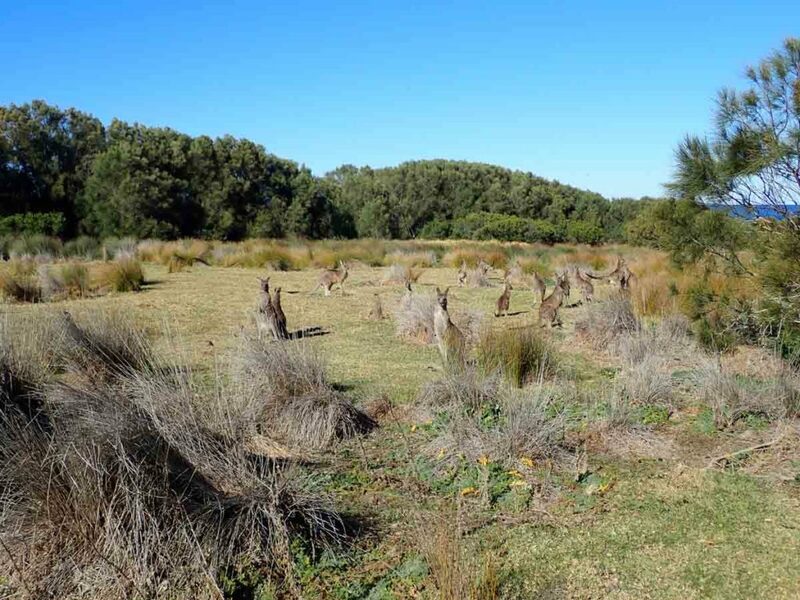 This walk has a large number of Kangaroos scattered in the grassy areas just of the trail. 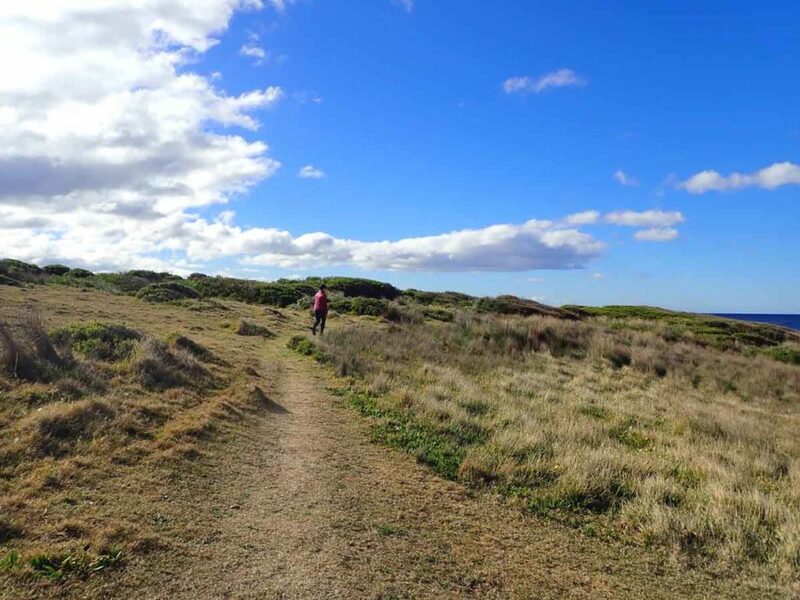 One warning here is that this part of the coast is ‘tick central’ so wear long pants and socks, and a long-sleeved top when doing this walk in the hotter moths of the year. 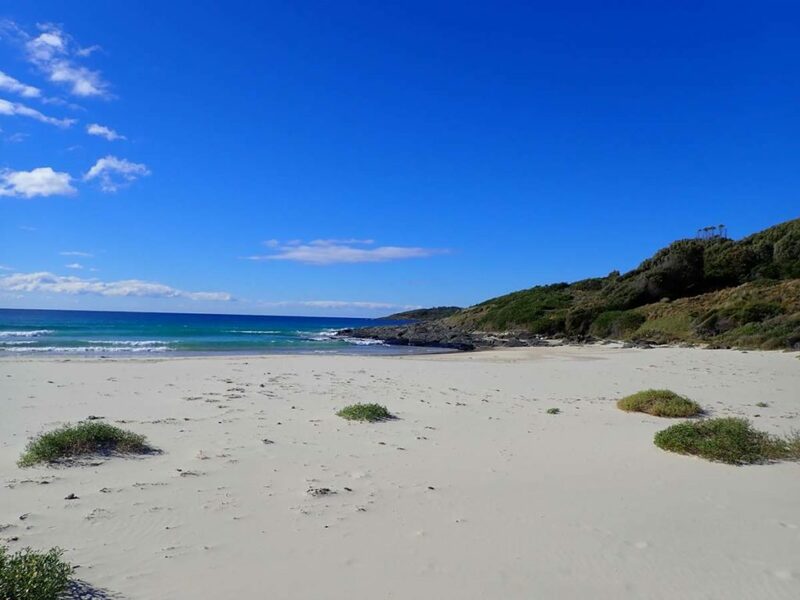 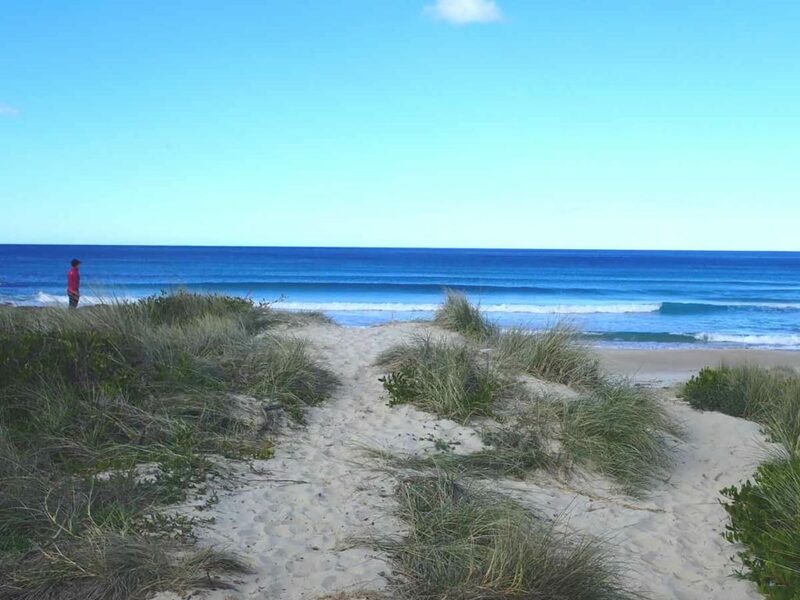 Having said that this is a great family walk that is relatively easy and if the weather is warm enough bring a lunch and swim gear to take advantage of the excellent beaches adjacent to this walk and make a day of it.